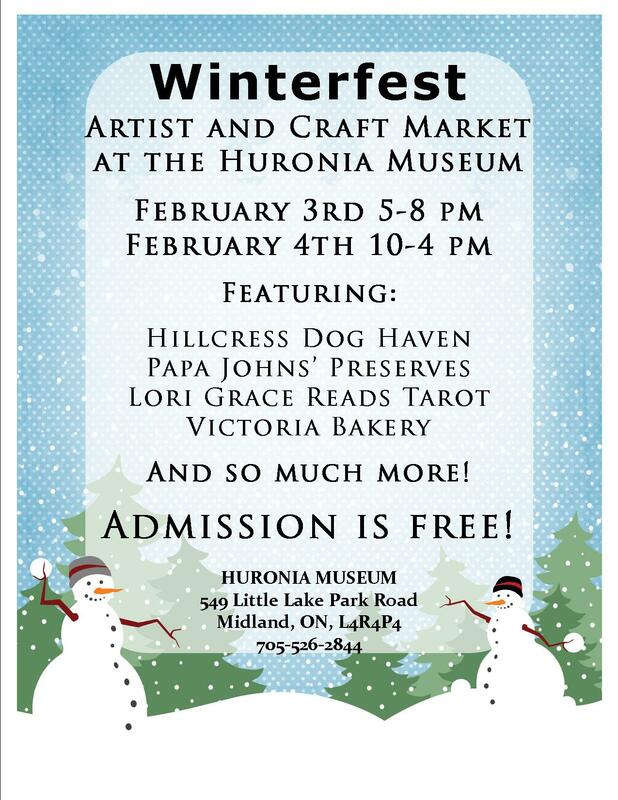 Once again Huronia Museum will be holding activities for Winterfest weekend! Friday February 3rd we will be hosting Dinner in Your hands. 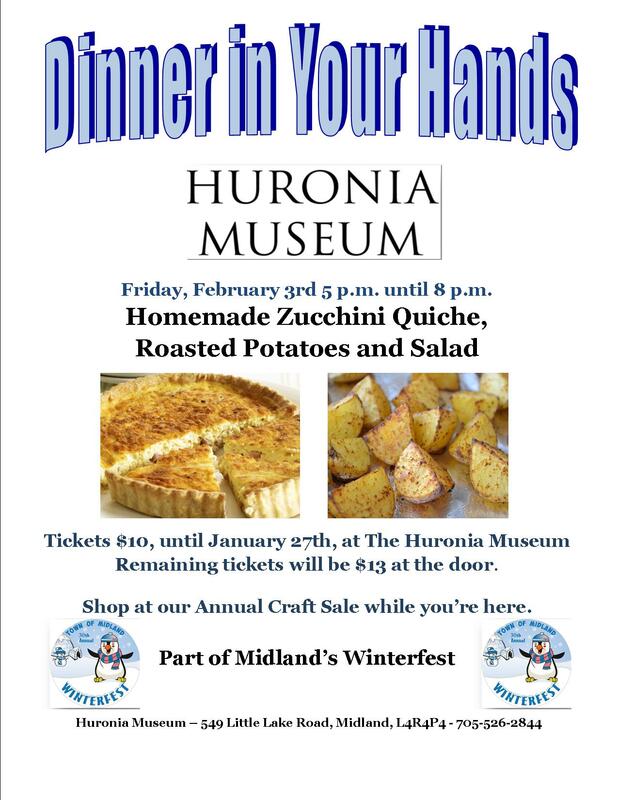 This year we are serving a delicious Zucchini Quiche, Roasted Potatoes and a delicious salad! Tickets are available now for $10 in advance of the event, and will be $13 at the door. And once again we will be hosting an artisan market, where local artists, crafters and bakers will be selling their products inside of the Museum. Visit with out local vendors throughout Friday evening and throughout the day on Saturday. Local vendors including Papa John’s Preserves, Annie’s Meat Pies, Hillcress Dog Haven and 14 other local vendors will be present. We also have a Tarot Card Reader on site to look into your future! Join Us, February 3rd and 4th! All of the activities for Midland’s Annual event can be found at the Town of Midland website!